Whenever I bake butternut squash or pumpkin for puree, I bake as much as I can fit on the roasting tray. If you are going to take the time and dirty the kitchen, get as much out of the effort as possible. What I like to do is keep four or five cups of that squash puree in the refrigerator for a few days while I make some of the family favorites and try a new recipe or two. 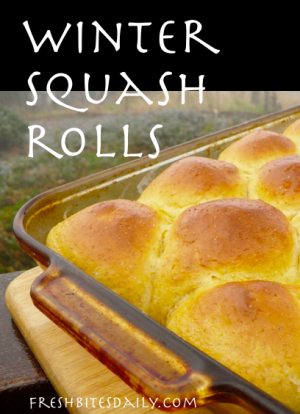 One of the family “musts” is winter squash rolls. I have adapted this recipe a bit from Yvonne Young Tarr’s Squash Cookbook. Back in the days when I had two commercial ovens I multiplied this recipe times five and it was still outstanding. Serve these winter squash rolls as dinner rolls, turn them into small sandwiches with something like a delicate slices of ham, or simply split the roll, butter generously, and slip in slice of sharp cheddar cheese. I am happy to call this dinner. Scald the milk in a medium-sized saucepan. Add the butter and stir till melted. Add the sugar and salt. Stir to dissolve completely. Add the winter squash puree and lemon zest. Soften the yeast in the lukewarm water in a small bowl or cup. Add the eggs to the squash mixture and the softened yeast. Mix thoroughly. Pour the squash mixture into a large bowl and begin adding the flour 1/2 cup at a time beginning with the spelt flour. Continue adding flour until the dough comes away from the bowl in a lump. Dough will be soft. Place dough in a large oiled bowl and roll it around to coat the entire lump with oil. Cover with a towel and place in a warm place to rise until double in size, about 1 1/2 hours. Punch down the dough and knead on a floured board for a minute or two. Using an oiled knife, cut the dough into two equal portions. Cut each portion into 16 equal-sized portions. Form balls with the dough and place them into 2 9×13 oiled baking dishes. Cover the rolls and allow to double in size. Bake at 350 degrees for about 30 minutes or until golden brown on top. Mix the egg yolk with water and brush on the golden tops of the squash rolls. Return to the oven for a moment or two. The egg mix puts that super shine on the rolls that makes them look like a classy bakery product. 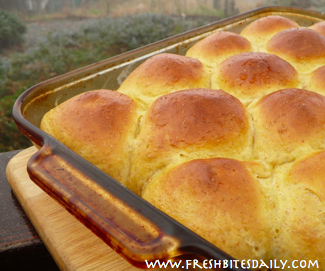 Let the rolls cool for a few moments before serving and have lots of soft butter ready. 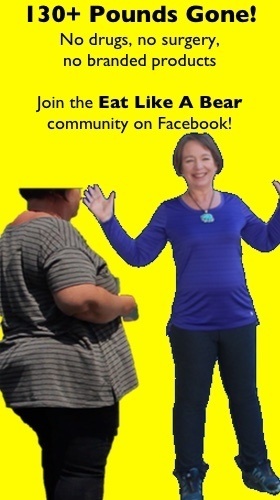 1 Comment on "Winter Squash Rolls"